This fantastic Tree House collection by Aussie designer Stefan Arifin is influenced by wood texture and blissful nature and would be perfect for those planning a Outdoor style event. 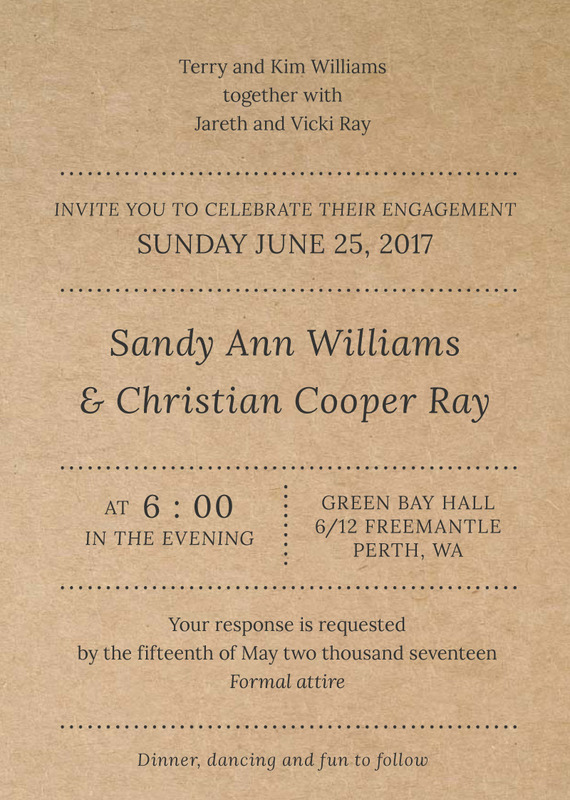 These mason jar inspired engagement party invitations from the broader Tree House set looks amazing when printed using digital technique and when it comes to stocks, we think it looks best on paperlust kraft. 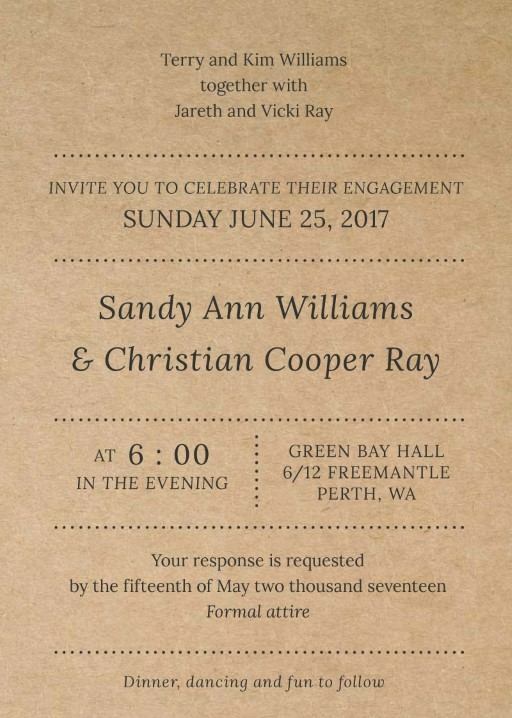 I love how the designer of this engagement invitation used the wooden-inspired background with the elegant handwriting, to obtain a nice and rustic appeal of this invitation.